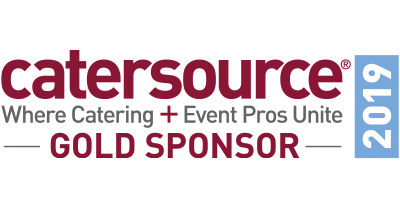 See the technology that stole the show at Catersource 2019! Fall in with StaffMate Online! AND MANY MORE "LITTLE THINGS"
Our clients are currently managing a total of 94,177 employees and since 2002 have utilized StaffMate Online to successfully schedule an astounding grand total of 16,790,827 shifts for 2,475,934 unique events. There is no adequate substitute for Trust, Proven Reliability & Experience. 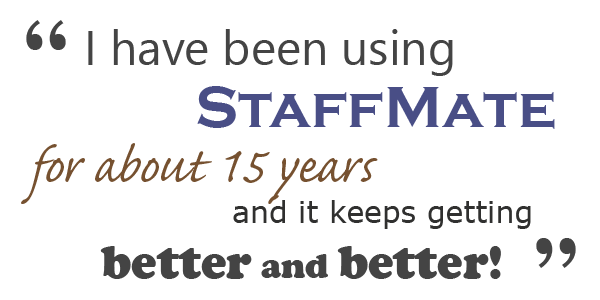 For 17 years, StaffMate Online has been an industry leader. 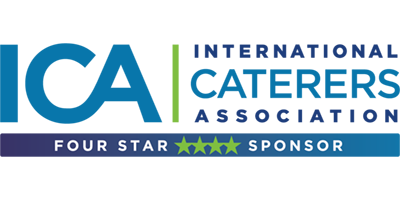 During that tenure, StaffMate Online was the very first web-based staff scheduling software to exhibit at a Catersource™ Tradeshow (2004), the first to sponsor a Catersource™ Conference (Crystal Sponsor, 2006) and in February 2019, StaffMate Online is proud to be sponsoring the Catersource™ Conference once again, this time at the Gold Level just like in 2018. We gave birth to the world's first interface between staff scheduling software and catering management software (Caterease™, Total Party Planner™ and others) and were the first to deploy scheduling software to transatlantic international clients. When we began StaffMate Online in 2002, an overwhelming majority of event-based employees didn't yet have email accounts, only a select few had Internet access in their homes, and Internet on mobile phones wasn't a thing. Undetered, we devoted the better part of a decade educating event professionals and their employees on how to utilize this emerging technology to simplify their lives and now 17 years later, it's difficult to imagine the life of a scheduling coordinator prior to 2002: busy signals, answering machines and undelivered messages left with spouses and children leading to an impatient waiting game for the reply call which wouldn't come until the following day, if at all. 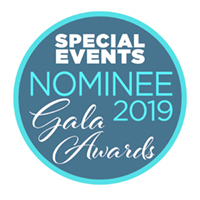 We are extremely proud of our storied past and the part we played and continue to play in completely transforming the way event professionals schedule their staff but we are even more excited about the future of our platform, about our sponsorship of the 2019 Catersource Conference & Tradeshow and look forward to showing off our completely redesigned web site, brand new account platform, text messaging reminders (all available now) and our brand new iOS & Android apps (due out this winter). Just like you, we took no shortcuts to get here. 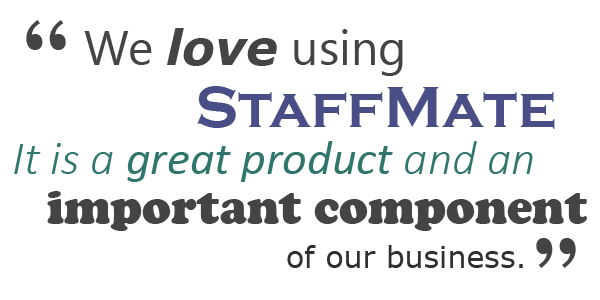 There is no substitute for Trust, Reliability, Value & Industry Experience... and there is no substitute for StaffMate Online. For 17 years, StaffMate Online has been an industry leader. During that tenure, StaffMate Online was the very first web-based staff scheduling software to exhibit at a Catersource™ Tradeshow (2004), the first to sponsor a Catersource™ Conference (Crystal Sponsor, 2006) and in February 2019, StaffMate Online will once again sponsor the Catersource™ Conference at the Gold Level. StaffMate Online is currently deployed at locations throughout the United States, Canada, Europe and the South Pacific. We foster a globally-friendly environment, offer built-in support for worldwide addressing standards and timezones and are currently looking to work in conjunction with a few of our international clients to create translations of our platform to reach additional global markets. If, as a client, you'd like to work with us in translating our platform, please take a moment to let us know. StaffMate Online is currently deployed at locations throughout the United States, Canada, Europe and the South Pacific. Our clients include caterers, hotels, banquet facilities, event venues, staffing and security agencies, casino theme party operators and university food services who have, to this date, utilized StaffMate Online to successfully schedule an astounding grand total of 16,790,827 shifts for 2,475,934 unique events. Although we suggest maintaining the latest version of whichever browser you choose, since StaffMate Online is a Web-based application, there are never any software or hardware conflicts for you to troubleshoot. Additionally, with StaffMate Online there is nothing to install, no new hardware to buy and no new third-party software to acquire. The past 17 years have witnessed scheduling software companies try everything to make money: $99 for an hour of training & onboarding help, $79 per month for hosting, $3-$4 per employee per month. But, today's companies are even more creative & sophisticated in the way they charge clients. Take a close look at the pricing "plans" and ask yourself, of the services offered at the "most popular" and "premium/enterprise" levels that are not offered in the lower plan, which features actually cost the software provider more money to provide? Boutique event companies that can't afford the higher plans are having negligible-cost, yet popular features withheld... while larger companies are being charged a premium for features and services that cost next-to-nothing extra to provide. In other words, "resource consumption" is already built into the "price per employee" model. In general, clients with more employees use more software resources than smaller companies with fewer employees. That's what makes 'price per employee' such a great and fair pricing model. But using popular features to arbitrarily entice a client to a higher 'per employee' rate is just a novel and cloaked modern day carrot and stick. As for the software companies charging for each hour your employee works, ask yourself this: How much more does it cost the scheduling software company to allow you to schedule your employee for an 8 hour shift versus a 4 hour shift? Why are they asking you to pay double for that 8 hour shift? At StaffMate Online, that's not the way we do business. 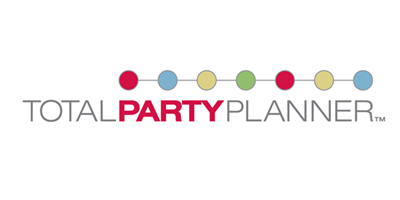 We have only ever had one plan -- complete with every feature we provide -- and the 'per employee' pricing model StaffMate Online founded within the industry in 2002 has worked extraordinarily well for each of the subsequent 17 years of service to our clients. It is also noteworthy that over the course of those 17 years, StaffMate Online has raised rates exactly once... when credit cards were added as a payment method 11 years ago. How is StaffMate Online Offered? StaffMate Online is an all-inclusive, annually licensed staff scheduling program with no set-up fees, no installation fees, no hosting fees, no support fees and no per-shift fees. We understand that the industry that is our niche is, for the most part, seasonal and fluid with the demand for employees higher in busy seasons and lower in off-peak seasons and so our Annual Fee is based upon the average number of employees you have entered within the software throughout the year, not necessarily how many you use at any given point in the year. And the great part is, you control who you place "On Hiatus" and when. And by placing them On Hiatus, you can save their information within your StaffMate Online account from season to season, year to year without getting charged for them for those days they are On Hiatus. So our pricing model was created exactly for the circumstance that we encounter the most because it's what works best for our clients, a majority of whom are seasonal. This is yet another way our 17 years of industry experience shines. What is StaffMate Online's Pricing? The minimum Annual License Fee is $550.00 USD per year for 0-50 Staff Members. If you manage more than 50 staff members, the Annual License Fee is an incremental rate averaging 40-99¢ USD per month per staff member. That's right... not $3-$4 per employee per month... just 40-99¢ USD per employee per month. For example, the Annual License Fee for 100 employees is just $968.88, just 81¢ USD per employee per month. And the more service staff members you manage, the more the incremental rate keeps dropping. StaffMate Online has been offering FREE onboarding support for every single one of our 17 years of operation. We began the practice with our very first client in 2002 and haven't stopped since. We never charge for onboarding: simply send us an Excel Spreadsheet or .csv file of your employees, venues and/or clients and we will import those employees at no cost to you. 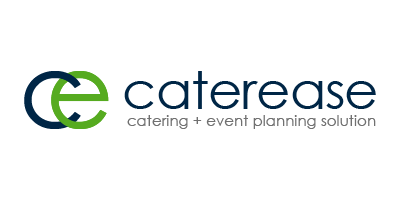 We are eager to add you to our growing list of clients and hope to work with you soon on implementing StaffMate Online into your busy staff scheduling operation. To get started, simply fill out the short Free Trial Enrollment Form and we will set up your trial account. Each trial account is 100% full-featured for you to exhaustively explore and, once you make the decision to proceed with StaffMate Online, the trial account becomes licensed right around all of the staff, events and data you have entered throughout the 21 day trial period. * If you work for one of our clients, contact your employer for access. Don't use this form. We're Ready to Create Your Account! POWERED BY STAFFMATE ONLINE © 2002-2019. All rights reserved. Use of StaffMate Online is subject to Terms & Conditions. Our employee mobile apps aren't just mere extensions of a web account experience, they are just as robust and even more powerful with full access to easily manage availability, quickly locate, request and accept work assignments and effortlessly get to the job, on-time, in uniform ready to work. StaffMate Online's intelligent SMS service automatically & reliably texts shift reminder information to each consenting employee the evening prior to each shift for which they are scheduled. More importantly, our intelligent message processing interface receives and stores network carrier (Verizon, AT&T, Sprint, T-Mobile, etc.) delivery status confirmations complete with date, time and message contents. For the employee, mobile phone verification and providing consent is an intuitive process and each employee has full control over his or her consent and can confirm or revoke consent at any time. In our opinion, SORTS is quite simply the most powerful employee filtration feature on the planet. SORTS allows you to create custom filters with custom options. SORTS can be multi-option (i.e. Gender: Male, Female, Undisclosed) or CompEntry (i.e. Preformance Rating: Value). Further, you can make certain SORTS "Admin-Only" assignable & editable (like Performance Rating) and make other SORTS "Employee" assignable & editable (like Gender). Use any and all SORTS, in combination with other robust StaffMate Online features, to filter staff to just those employees to whom you want to offer certain opportunities. You may be the type of person who wants their employees to be able to manage their own availability or you might be the type of person who wants those requests to come through you for you to manage. With StaffMate Online, that choice is yours: enable employee management or retain control for yourself. Either way, the availability calendar allows for single-click Day Available or Day Off selection and allows for an unlimited number of partial day availabilities (i.e. 5am-10am, 1pm-5pm & 7pm-12am). When it comes time to schedule staff for an event, use employee availability, in combination with SORTS and other robust StaffMate Online features, to filter staff to just those employees to whom you want to offer certain opportunities. IMAGINE THE POWER: Let's say you wanted to display all of the male bartender employees, available between 5pm & 10pm, who are preferred at "Venue X", who live on the north end of town, who have reliable transportation, who own their own bar kit, are Serv-Safe certified and have a current performance rating greater than 85 and then list those in order of who has the least number of hours to those who have most hours scheduled already for that week. The 10 matching employees are instantly displayed and now you can choose to which of them you should offer the positions you have available. With StaffMate Online's Pinpoint Staff Selection, this awesome power is literally at your fingertips. ...and it's about to get bi-directional and a whole lot more dynamic. 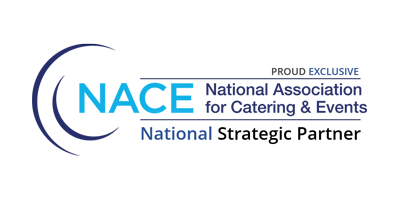 StaffMate Online created the catering industry's very first integration with catering management software more than a decade ago and it's still going strong today! Now we are proud to announce that we will be working with our partners, once again, to take our interface to incredible new levels of functionality, efficiency and cross-platform engagement! Securely transmit event information and staffing requirements from partners to StaffMate Online with just a click of your mouse. And soon, seamlessly transmit information back and forth to keep both programs current with the latest event details! With StaffMate Online, you have the ability to mark employees as Preferred or Restricted for each of the Clients and Venues you maintain within your account to ensure the best matches for each event you staff. In coming months, this feature will be permanently infused into the staff scheduling process so that, just like with SORTS and Employee Availability, you will be able to utilize these classifications to instantly filter potential staff to just the right choices for each Event, Client & Venue! Just imagine being able to instantly whittle your employees down to display all of the female server employees, available between 3pm & 11pm, who are preferred at "Venue Z", who live near downtown, who have reliable transportation, are Serv-Safe certified and have a current performance rating greater than 85 and then list those in order of seniority. With StaffMate Online, this power is right at the tips of your fingers. Complete the event cycle with the industry’s most intuitive payroll tool. A tool you must absolutely experience for yourself! Literally convert raw timeclock punches to “Payroll Ready” in seconds. Effortlessly change a worker's job title, split shifts, apply Holiday & Overtime rates, correct punches, update payrates, round punches to the quarter hour, add & edit breaks and meals and map each worker's exact time punch locations... all from one robust page! Then easily assign gratuities and other "premium pay" items like travel and referral bonuses. 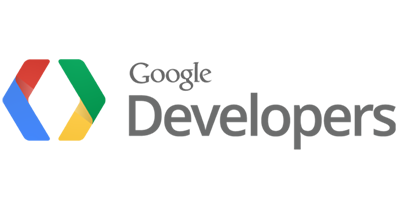 Once the pay period's events are all "payroll ready," make use of StaffMate Online's vast collection of Excel and .csv templates for ADP®, Paychex®, Quickbooks® and more to effortlessly transfer time data to pay your workers. 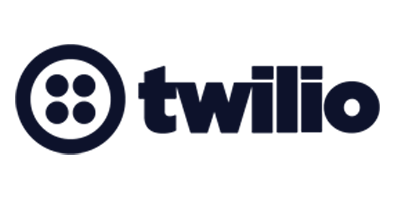 Publish to all staff, publish to one or more levels of staff, use SORTS, Availability, Client/Venue Preferences and other powerful features to filter staff to just the perfect staff for each event. Publish the event to some staff one day, more staff a few days later and then publish to the rest of your staff after those initial rounds. StaffMate Online also boasts the ability to Queue publishing so that you can choose to which employees you want to publish an entire week's worth of events and then publish them all at once. This is a perfect solution for those who like to "time" their opportunity releases or those who wish to take advantage of employee attention span all in one sitting per week. Use all of the robust StaffMate Online filtering features to ensure you are publishing each event to the perfect staff for that event. A life-threatening emergency beacon, which instantly alerts workers, company officials and first responders when seconds matter most. Once notified, workers, with the site’s evacuation and safety map conveniently displayed on their mobile devices, can locate safe zones, assist guests and check in with StaffMate Online to let everyone know that they are OK.
Each one of our overwhelming number of reports allow you to select which fields you want to display, in which order you want the results listed and allow you to choose the report for one, several or all employees, events, clients, or venues. The reports are highly customizable and getting better as we add functionality. For example, with our insanely intuitive payroll tools, once the pay period's events are all "payroll ready," make use of StaffMate Online's vast collection of Excel and .csv templates for ADP®, Paychex®, Quickbooks® and more to effortlessly transfer time data to pay your workers. With a brand new calendar, line-item and mobile optimized view design for Employees rolled out, we are now turning our attention to a brand new Admin calendar for 2019! The new calendars are full screen, easier to see (even on mobile devices), they boast incredibly fast and useful filters and print-optimization (for those who still like a printed calendar). Now with these underlying design and functionality enhancements, additional incredible and exciting features are in the development pipeline to take advantage of the new interface, so stay tuned! Store Attire/Uniform descriptions and photos within StaffMate Online and then simply choose the desired Attire option from a drop-down list for each event you schedule. Once you’ve found that perfect worker mix, communicating event details is where StaffMate Online’s real magic starts. With our exclusive innovation -- drag and drop Google™ map markers -- you can pinpoint the EXACT job site at address-challenged locations like universities, parks, beaches, zoos and more. Something you can’t do with other platforms. When Google™ places a map marker right in the middle of Central Park yet your event is 1/4 mile away at the southern edge of the park, "Geofencing" of less sophisticated software becomes utterly useless. Ubers drop workers off in the wrong location, workers take the wrong transit stop, park in a further garage or lot and then end up having no clue how to arrive at the actual event site. With StaffMate Online’s Drag 'n Drop markers, world-class mobile app and two taps of the thumb, workers can hail an Uber or Lyft, locate the nearest parking and transit stops, get precise driving, cycling, transit and walking directions from Waze, Google and Apple Maps, and, if need be, tap a single button to instantly call their event’s on-site manager. Even with the ubiquitousness of the Internet, there are still those who shy away from technology and for those people, StaffMate Online created the Event Notification Call List. Each time you perform a function that would normally initiate an email, push notification or text message and the receiving party does not have the tools necessary to receive such notifications, their name, number and shift action are noted on the Event Notification Call List. Use this list to call those who do not have or do not check their email, those who do not like apps, those who just won't consent to text messages. Additionally, when we send out SMS text shift reminders to consenting employees the evening prior to each event for which they are scheduled, very rarely but sometimes, one message may not make it's intended destination. But, StaffMate Online's sophisticated script retrieves and stores delivery status updates from the carriers (Verizon, AT&T, T-Mobile, Sprint, etc.) for each and every text message shift reminder we send. If one fails, you'll see it on the Event Notification Call List so that you can call that employee on event day to make certain they have remembered their obligation. StaffMate Online has also created an Opt-In Employee Directory available for you to enable on your account if you see fit. When you enable this feature, employees can decide for themselves if they wish to be part of the peer directory and, if so, what pieces of specific information they wish to share with or hide from others. Use this for ridesharing, shift coverage or just for social networking, the employee directory is useful while maintaining privacy control. Day Notes allow the Admin the opportunity to communicate important date-specific information to employees directly on their event calendars. You may want to announce the company picnic or let employees know that a certain day is an "All Hands On Deck" day. Whatever the message is, Day Notes are a convenient and easy way to pass along the information. Broadcast Emails give you the power to create and send hand-typed emails to One, Some or All of your Employees. 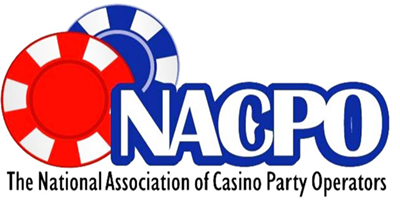 Add an attachment, send to just Blackjack Dealers or Bartenders, send to other Full Admins, send to all of your Level 1's or select a few names. Send a broadcast email to all of the employees scheduled to work a particular event. Recognize employee birthdays, get reminded of upcoming "employee review" dates, create automated reminders for anything, search staff, venues, clients and event from one simple search box, copy events from one day to another day or a series of consecutive days, enter Staffing Agencies so that you can use them as placeholders for shifts you outsource, etc. 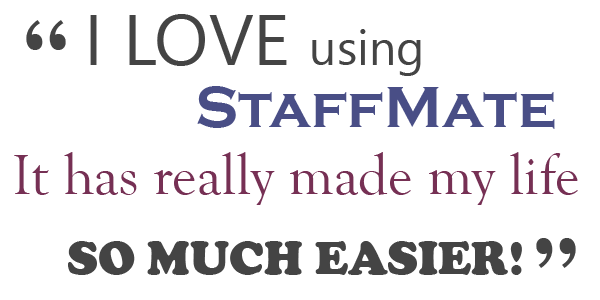 There is a lot to love about StaffMate Online and now is a great time to enroll in our 21 Day Free Trial!